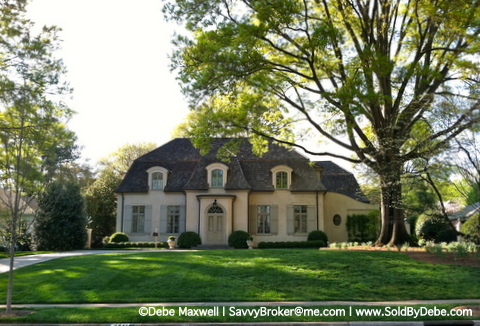 Developed in 1905, the Myers Park neighborhood in Charlotte NC is the work of developer George Stephens and famed landscape architect, John Nolen. Nolen’s vision of a lovely, walkable street car community gave rise to today’s unique design which makes for a lovely, scenic neighborhood, showcasing the stunning historic homes within the Myers Park community. Steeped in southern charm, Myers Park is truly one of Charlotte’s premier neighborhoods and is most certainly one of the most prestigious addresses in all of Charlotte. Our buyers’ favorite part of their Charlotte home tour is by-far, the drive down Queens Road (one of the nation’s Top 10 Boulevards). Framed by mature, century-old pin oaks, the tree-lined streets envelope you as you drive through the Myers Park community and further accentuate the original architecture from the early 1900’s. The Myers Park Homeowner’s Association continues to actively protect the the original southern charm, timeless Old South nature and high standards passed down from Nolen. Residents enjoy close proximity for shopping, dining and entertainment from SouthPark Mall to Park Road Shopping Center to Uptown. Myers Park provides a convenient location for residents who also enjoy tennis and golfing with all that Myers Park Country Club has to offer. 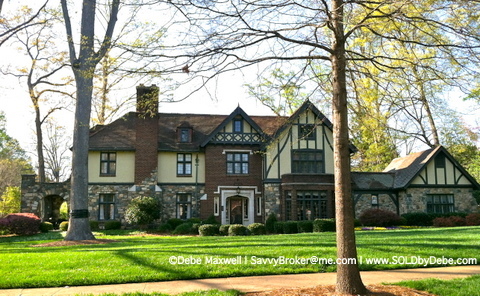 Myers Park is one of the most cherished neighborhoods in the Charlotte NC real estate luxury market. This stunning neighborhood is truly one of the most thoughtfully master planned communities in the Southeast.